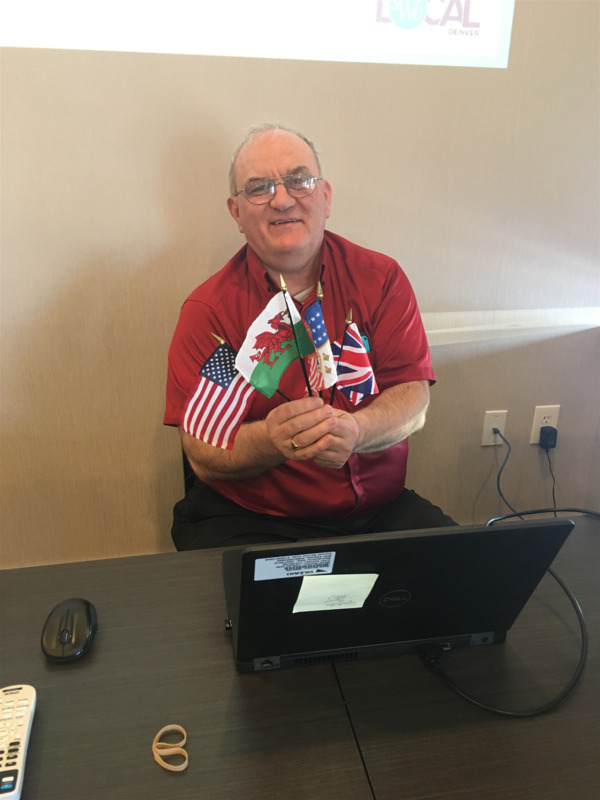 Today Dr. Alan Cooper shared with us a presentation on flag making. Dr. Cooper has many hobbies, among them all things flag related. We rang the bell on time, and are happy to have Devin, Mary, and Margarette with us today from the Westland Rotary Club. They are finishing up their passport visits, and we are very happy that they joined us. Dr. Alan Cooper also joined us today and will help us design our own flags. Announcements today included a reminder about the Westland Rotary's Magic Show on March 30th, Dearborn Heights Mardi Gras Party on April 13th, District Assembly on April 6th, and District Conference and District Conference Backpack Collection for May 10th. Dr. Cooper left us with index cards to take home and design our own flags. In the coming weeks we will talk more about this, and we will share what we have come up with for our own flags. For those of you who are interested in more in depth information on flags, please see "Good Flag, Bad Flag" by Ted Kaye. It is available on Amazon's website. Thanks for your presentation Dr. Cooper.